It’s a nice combination of strong visual/minimal text. The ad accomplishes its purpose without overwhelming the viewer with too much information. A great example of less is more. The image is eye-catching and unexpected. The dramatic colors, lighting, and movement in the image make you look twice. It looks like it was shot by a professional custom for the client (vs. a stock photo). There’s pay-off for the viewer. It took me a moment to determine what the image was conveying. When I read their headline, I enjoyed the cleverness of the visual analogy. It’s brand-focused. This ad conveys the company’s brand promise more than it’s products and services: we’ll make you feel comfortable even when you’re far from home. It appeals to the traveler’s emotional needs. 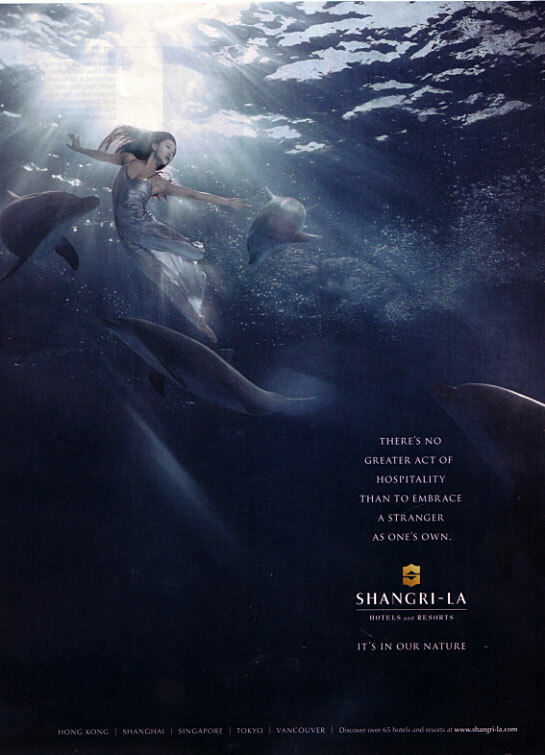 This ad stood out within the pages of Travel & Leisure. While ad after ad shows beaches, reception areas, and guest rooms, this one took a risk and steered clear entirely from typical imagery. The result, in my opinion, is that the risk paid off. This entry was posted on Thursday, February 17th, 2011 at 1:39 pm and is filed under Design Tricks and Tips. You can follow any responses to this entry through the RSS 2.0 feed. You can leave a response, or trackback from your own site.